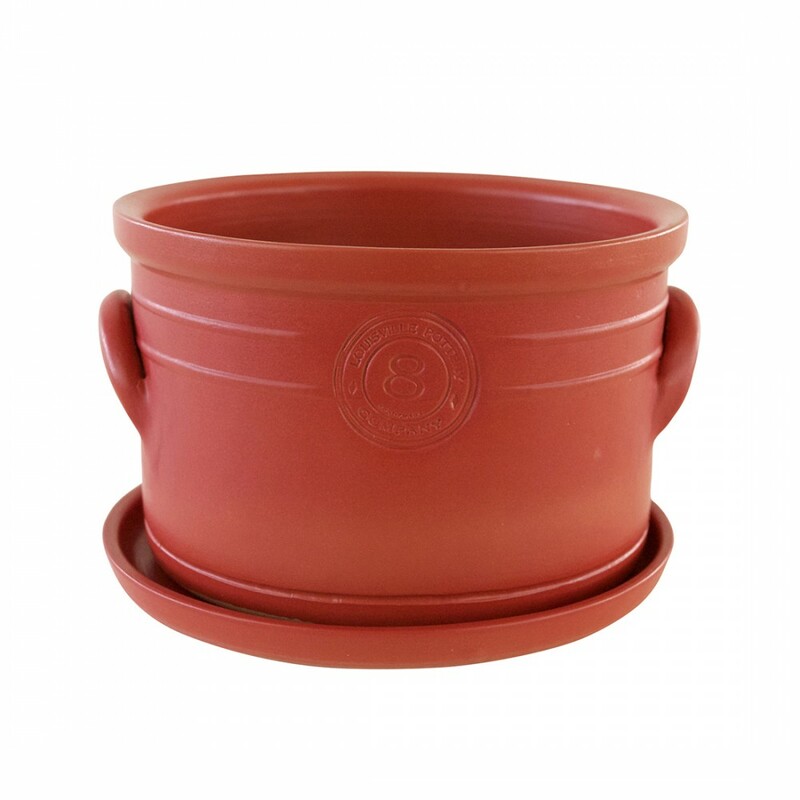 A simple, traditional crock available in three sizes. The two crescent-shaped handles, inspired by the crocks of the 1800s, are hand pressed and attached. Each crock is beautifully, glazed inside and out. Stoneware is naturally resilient, resisting scratches and fading. 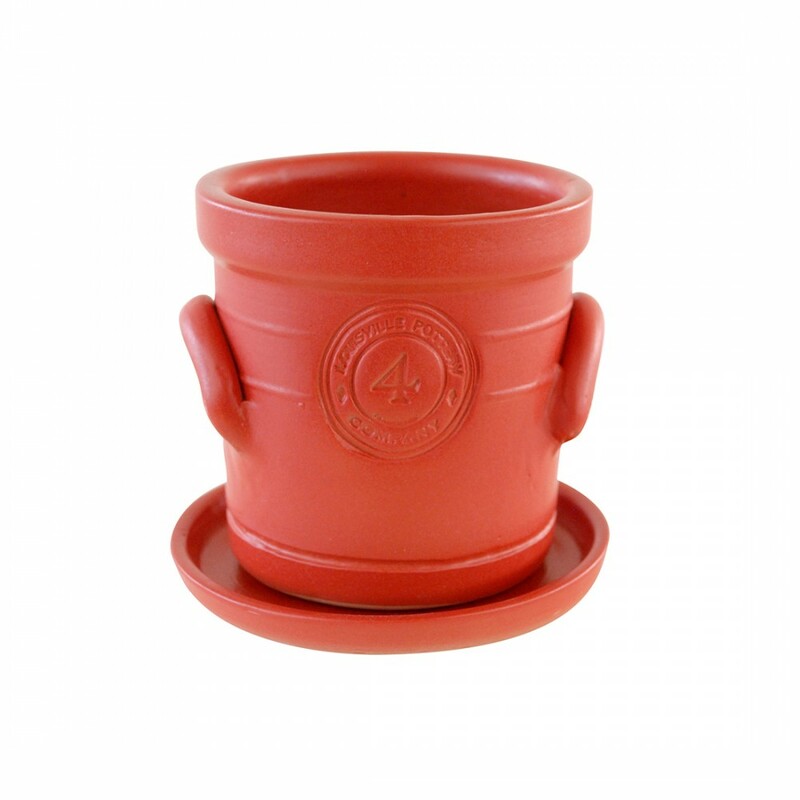 And because Stoneware is frost- and freeze-proof, it will stand up to the elements. 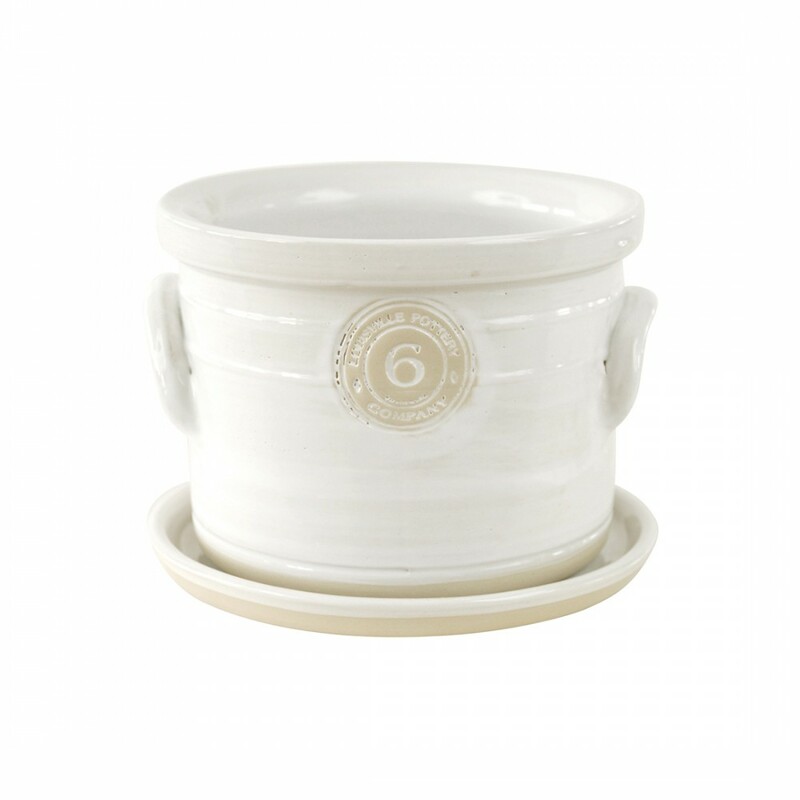 With any stoneware item, extreme and sudden variation in temperature may cause cracking or breakage. 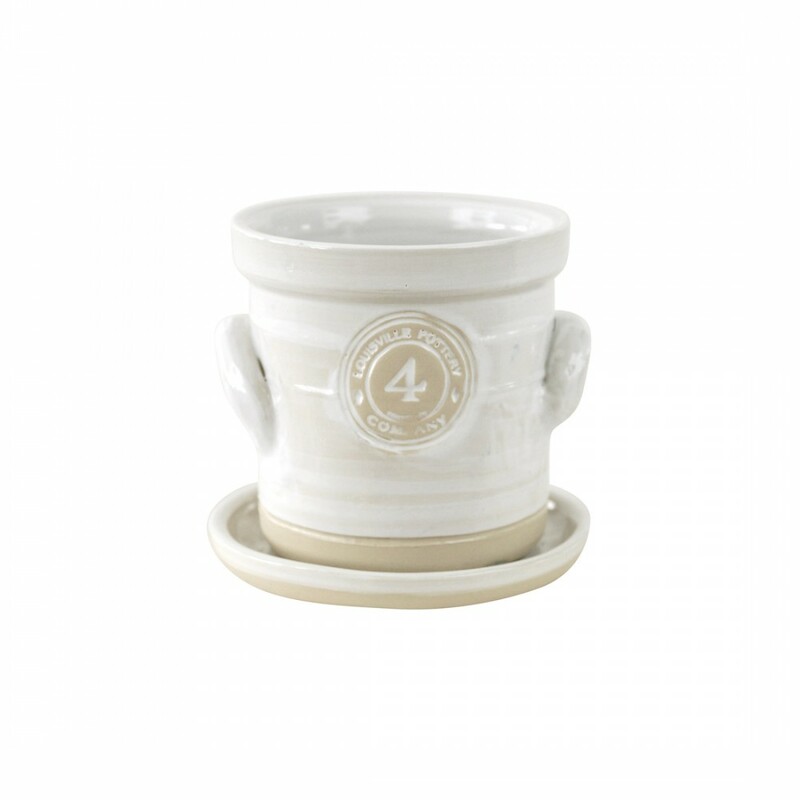 Stoneware is oven, microwave, dishwasher, refrigerator and freezer safe. 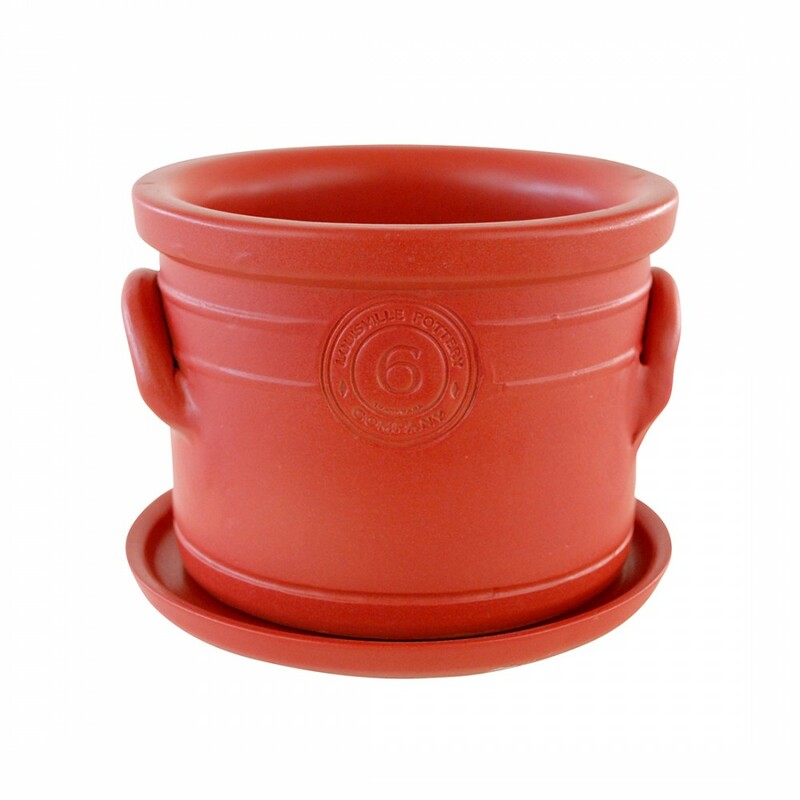 We have partnered with Louisville Stoneware to launch a line of unique stoneware products we use all the time… This 8″ Kitchen Crock/Panter is perfect for planting small herb plants or holding your kitchen utensils or other items for storage.